The Test of Essential Academic Skills (TEAS) is an aptitude assessment, used as a prerequisite by many nursing programs in the United States. Developed by Assessment Technologies Institute (ATI), TEAS evaluates students’ understanding of key concepts and analytical skills related to the nursing and health science field. Since studies show a correlation between a student’s TEAS test score and their performance in the nursing program, institutions use TEAS as one of the determining factors for acceptance into their program. TEAS includes four sections: science, mathematics, reading, and English and language usage. The science section tests students’ foundational knowledge of human anatomy, physiology, and life and physical sciences. The Test of Essential Academic Skills (TEAS) is available for students interested in nursing programs. Many institutions in the U.S. require the TEAS as a prerequisite for their nursing program, so students are encouraged to learn more about the institution’s eligibility requirements. Students may log on to the ATI Testing website to register for the TEAS. After an application is approved, students are prompted to schedule their test date and location. Testing locations include PSI testing centers and schools that offer the test on-site. How much does it cost to take the TEAS? The Test of Essential Academic Skills (TEAS) exam fee is typically between $60 and $140, depending on the testing location. Students can take the exam at a PSI testing center or a registered school. How many questions are on the TEAS Science exam? On the TEAS, there are 170 multiple-choice questions, divided into 4 sections, science, mathematics, reading, and English and language usage. The TEAS Science exam has 53 questions. Throughout the exam there will be pre-test questions that are not calculated with your final score. How long is the TEAS Science exam? 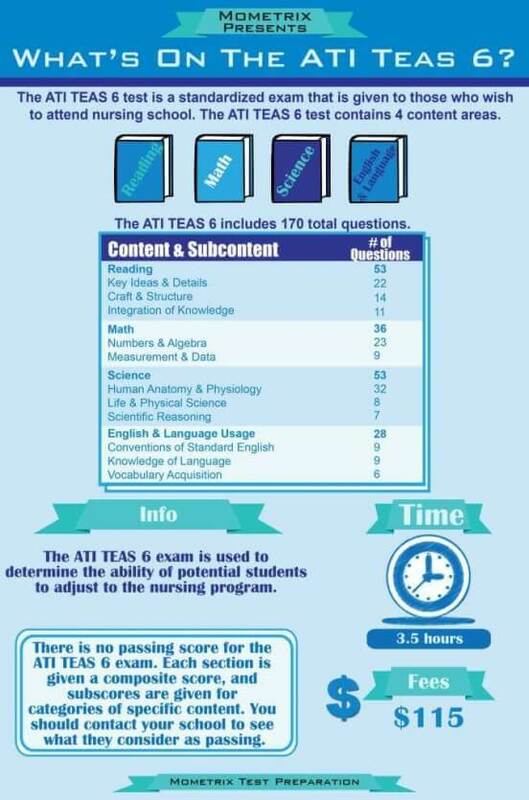 Test-takers have 209 minutes (3 hours and 29 minutes) to complete all four sections of the TEAS. 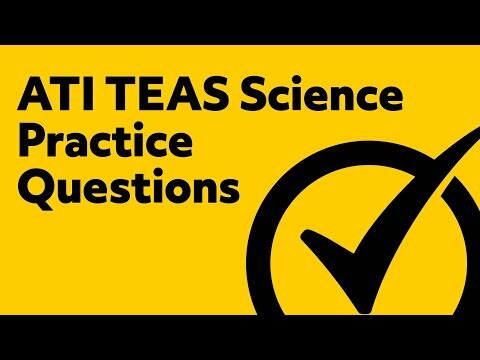 The TEAS science section is 63 minutes long, with 53 questions. What topics are on the TEAS Science exam? Can you use a calculator for the TEAS? At the beginning of the exam, a proctor will provide test-takers with a four-function calculator. Students are not allowed to use calculators with special functions. Plan to arrive at your testing location at least 15 minutes early. If you are more than 15 minutes late, you risk forfeiting your test and exam fee. Bring a government-issued ID that includes your photo, your signature, and your permanent address. Credit card photos, student IDs, and expired IDs are not accepted. Bring 2 sharpened No. 2 pencils with attached erasers. You may not bring personal bags, coats, sunglasses, and electronics in the testing area. There is no food or drink allowed in the testing area unless it is for medical reasons. A proctor will provide you with scratch paper and a four-function calculator. You will have a 10-minute break after the mathematics section of the exam. Any other breaks will deduct from your test time. What is a passing TEAS Science score? Finding out the nursing program’s score requirements is important. With the TEAS, there is no pass-fail score. You will receive a total or “main” score which includes the individual scores from all four sections (science, reading, mathematics, and English and language arts). You will also receive the separate scores for each section. 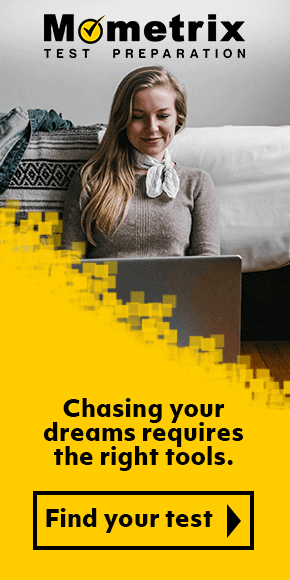 Typically, a program requires you to earn a score of at least 60% to 70%. But, it is highly competitive to gain admission into a nursing program, so students are encouraged to aim for higher than the program’s requirements. If you are feeling overwhelmed about studying for the TEAS, you’re not alone! Thousands of students across the country are preparing for this exam and are searching for effective test prep materials. So, our test experts created the Mometrix TEAS Study Guide. This comprehensive study guide offers in-depth explanations of key concepts for all 4 sections of the TEAS. We understand that studying the material is only half of the battle, so this all-in-one guide comes with test-taking strategies that will help you feel more relaxed and confident on test day! You probably have a limited amount of time to study before test day, so our test experts also created the Mometrix TEAS Flashcards. Studies show that repetition is one of the most effective study strategies. The Mometrix TEAS flashcards cover all 4 sections of the exam, allowing you to quiz yourself on the key concepts quickly. Ideal for students who have to study on the go, these flashcards are portable! 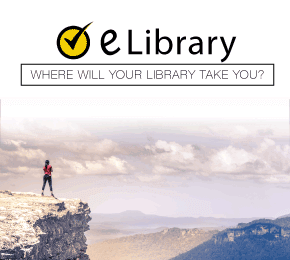 We understand that it is crucial for you to earn a high score on the TEAS and we are confident that our test preparation materials will help you get the results you want. Congratulations on taking the next step in your nursing career! We hope you will do great!